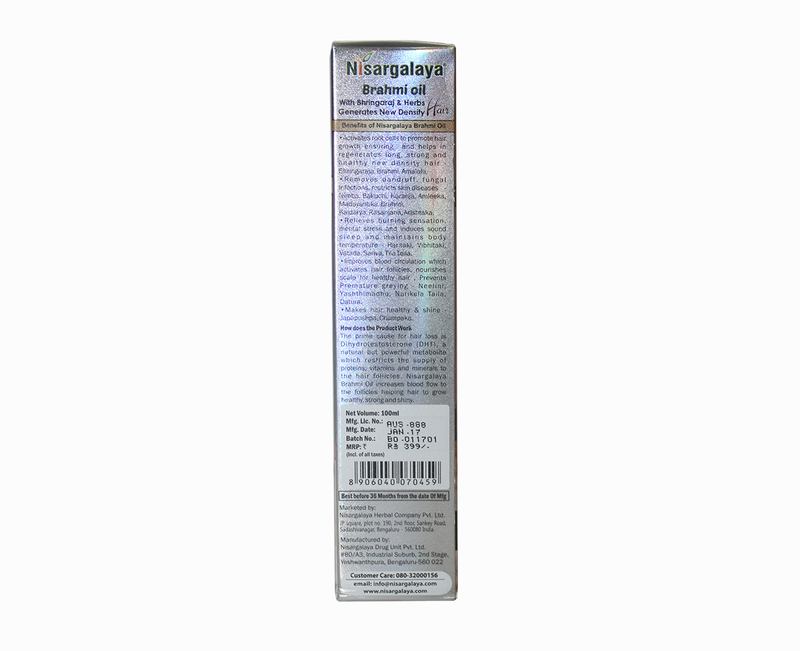 Nisargalaya Brahmi Hair Oil Nisargalaya Brahmi Oil is made with special herb extracts, the combination of vitamin E and Phyto oil that improves texture, shine, growth and overall condition of hair leaving it replenished and healthy. 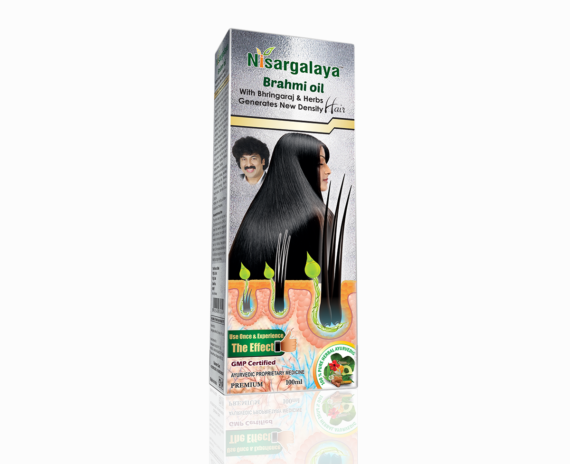 Nisargalaya Brahmi Herbal Hair Oil helps in the nourishment of long and strong hair, it avoids hair fall thereby helps you to have thick, strong and healthy hair. 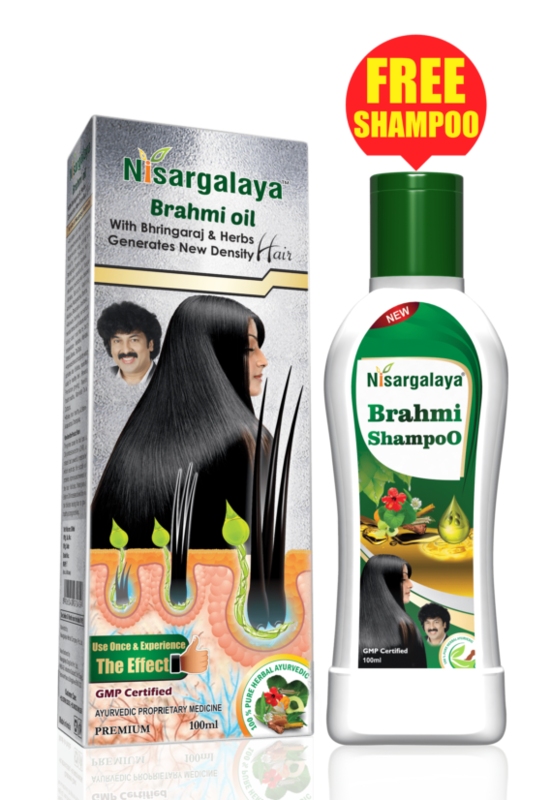 The Brahmi Extract present in Nisargalaya Brahmi Oil gives you beautiful, thick, strong and healthy hair as it is the main nutrient for hair. Nisargalaya Brahmi Oil increases blood flow to hair follicles helping hair to grow healthy and strong. 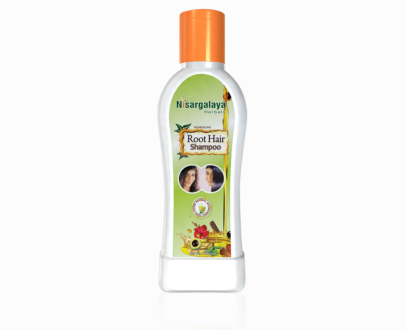 Avoid Hair fall & removes dandruff. 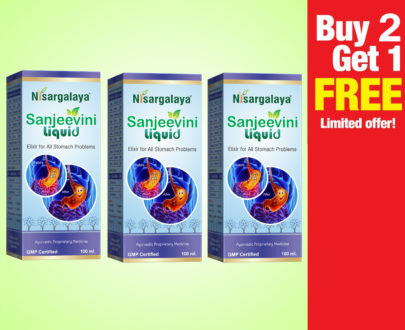 Gives soothing effect to eyes and stress-free feeling. 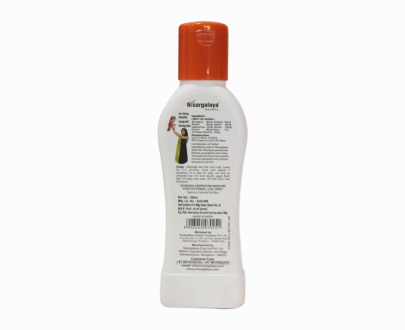 Apply all over the head and massage gently. Allow for 30 to 40 minutes for deep penetration. 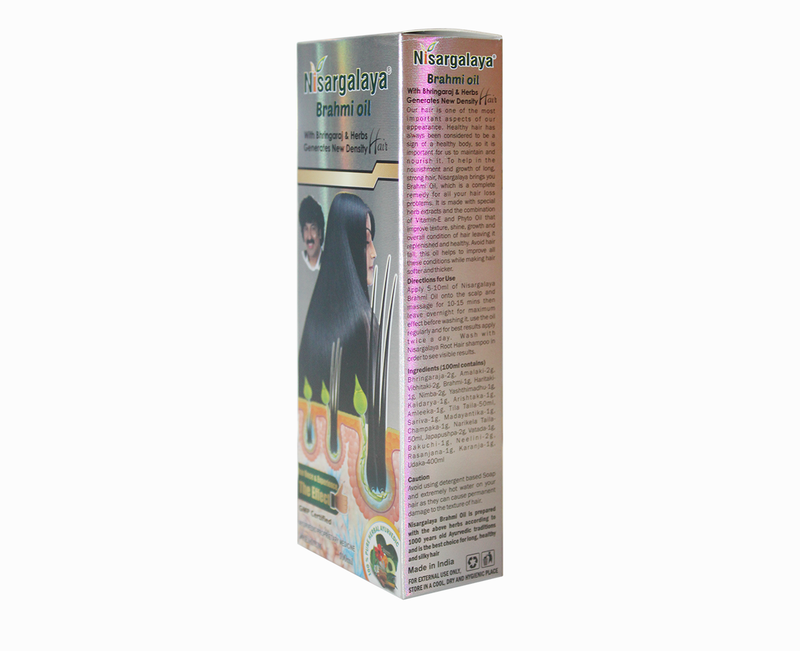 Bringaraja and Neelini: Prevents premature graying of hair and provides jet back shiny hair. 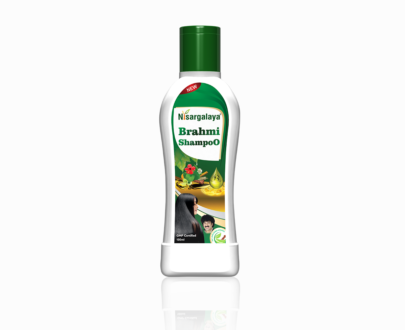 Brahmi, Champak, and Madayanthika: Provides cooling effect to scalp and head which relieves burning sensation of eyes and offers sound sleep. 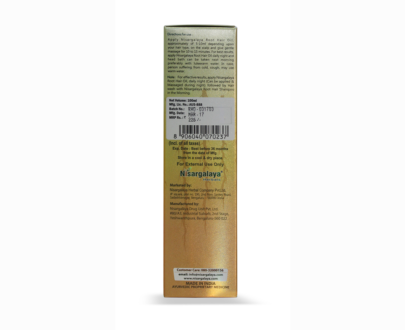 Amalaki, Bibhitaki, and Haritaki: Corrects and maintains the health of scalp and hair follicles. 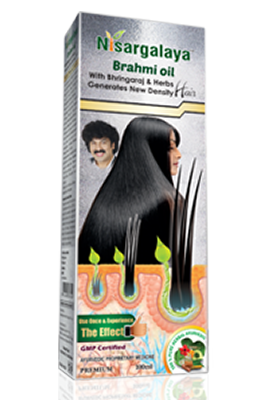 Yashtimadhu, Rasanjana: Reduces splitting of hairs and smoothens hair. 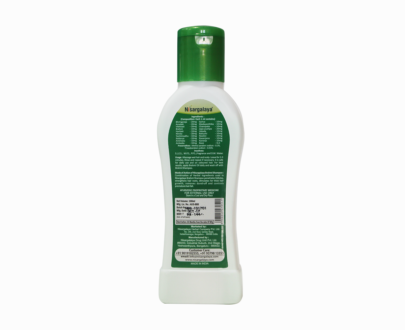 Karanaja, Nimba, and Bakuchi: Treats fungal infection such as alopecia/patchy hair fall. 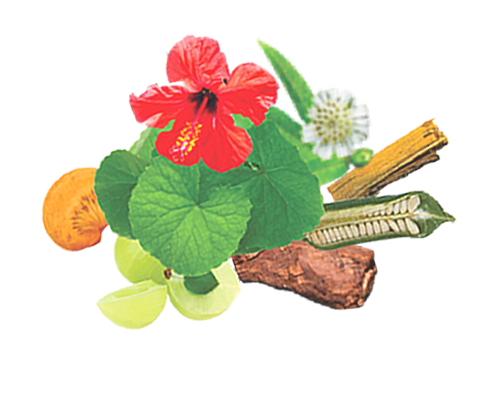 Vatada, Tila taila and Narikela taila: Activates the hair follicles and enhance long, strong and thick hair generation and growth. 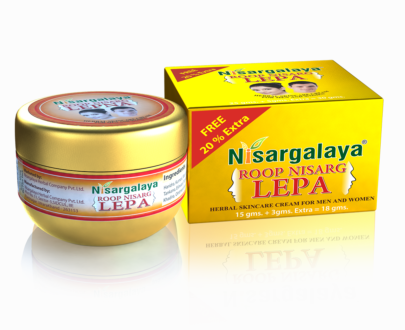 Japapushpa: Provides hair conditioning effect to offer silky smooth hair. The prime cause for the hair loss are some natural but powerful metabolites which restricts the supply of proteins, vitamins, and minerals to the hair follicles. 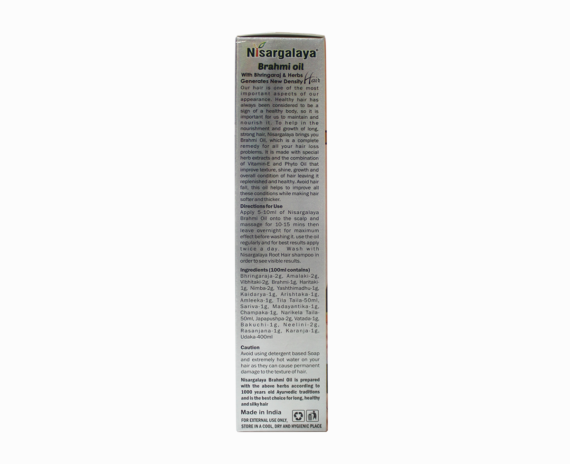 Nisargalaya Brahmi oil increases blood flow to the follicles helping to grow healthy, strong and shiny hair. 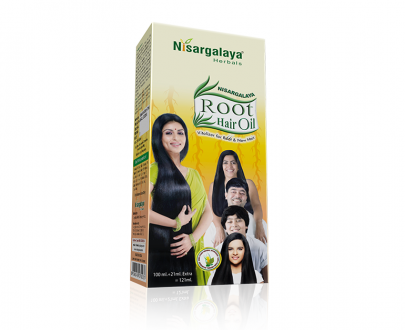 Best hair oil for hair loss. Nisargalaya herbal hair oil is a best hair growth oil. Best herbal hair oil, reduces hair fall with regular use. got a very good texture to my hair.